The Westside Wine Trail is all about discovery. Visitors can meander on a route that leads them past vineyards, wineries, restaurants and panoramic lake vistas. It is a place to experience outdoor concerts, wine & food events, culinary delights, as well as warm & welcoming people. 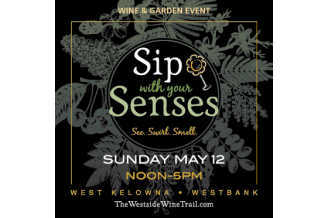 This wine trail will transport you to a place where rural and sophistication meet in the Okanagan Valley.